HRnetGroup (HRnet) is one of the largest Asia Pacific-based recruitment companies outside Japan operating in 10 cities and serving over 2,000 clients across eight industry segments. Independent research firm Frost & Sullivan estimates the APAC region will be the largest labour market in the world and amongst the fastest growing too with recruitment industry revenues forecast to grow at 9.4% CAGR in 2016-2021. HRnet provides flexible staffing and professional recruitment solutions with FY16 net profit roughly evenly split according to management. The professional staffing segment carries higher gross margins but is more prone to economic cycles while flexible staffing provides a resilient revenue stream with a steady growth outlook from prevalent industry trend requiring greater workforce flexibility to improve productivity and efficiency. End-industry exposure is diversified as well with the largest segment accounting for just 18% of 1H17 revenues. But geographic concentration is high with Singapore, where it commands c20% market share, at 59% of 1H17 gross profits. 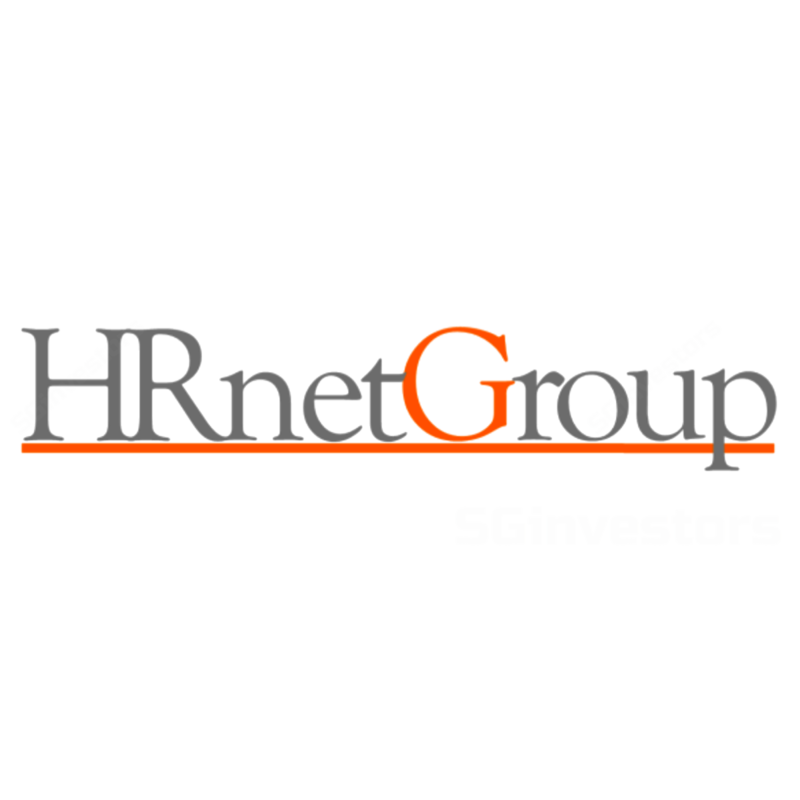 HRnet has been present in overseas markets ex-Singapore and Malaysia since 1996 and the steady expansion in various geographies since has driven growth in overseas gross profit contribution to close to 40% levels as at 1H17; in short, the company is hardly a noviciate to operating in foreign countries. With close to SGD280m in net cash after its recent IPO, HRnet is well positioned for the next phase of growth from these markets by tapping on M&A and strategic partnership opportunities. HRnet provides professional recruitment services and flexible staffing, including temporary staff. The company operates in 10 cities (Singapore, Kuala Lumpur, Bangkok, Hong Kong, Taipei, Guangzhou, Shanghai, Beijing, Tokyo and Seoul) serving over 2,000 clients in close to 30 industries. Frost & Sullivan estimates that HRnet is the largest Asia-based recruitment agency in Asia-ex-Japan by number of licensed consultants and also the largest in its home market Singapore in terms of revenue share of c20.5%. Flexible staffing (32% of FY16 gross profit): Provides firms with short to medium term temporary staffing solutions. Professional recruitment (66% of FY16 gross profit): Provides firms with permanent placement solutions. Others (2% of gross profit): Payroll processing, consulting and corporate training. HRnet was established in Sep 2016 to acquire and consolidate the separate corporate entities and brands in different geographies that make up the overall business. The underlying business was founded in 1992 by current Chairman Peter Sim and has been in operation since 1993. Since the creation of its first brand HRnetOne in 1992, the company has built up a number of other brands over the years with the belief that a multi-brand approach offers some advantages for differentiation and specialising in particular geographies or business segments. Currently offers professional recruitment services under the ‘HRnetOne’, ‘PeopleSearch’, ‘PeopleFirst’ and ‘SearchAsia’ brands while flexible staffing solutions are primarily offered under ‘Recruit Express’ and ‘RecruitFirst’ brands. Initial Public Offering on the Singapore Stock Exchange main board in Jun 2017. Management do not provide any forward guidance on revenue or profit growth. HRnet has a long track record of growth and profitability (1993-2016 profit CAGR of 39.5% and profitable every year barring 1998). Consensus EPS growth estimates for FY17-FY19 are -27%/ +8%/ +21% respectively. At the 1H17 results announcement management mentioned that they were in discussions with a number of firms and NDAs had been signed. Expanding operations in other growth cities in APAC is the focus for expansion and management are of the view that M&A is the best way for this going forward as the organic expansion route is likely to be very slow. The company is particularly interested in building presence in other cities in China (it already has operations in Beijing, Shanghai and Guangzhou) to further tap into the growth in the world’s largest labour market. Guidance is for a 50% payout target of net profit after tax excluding exceptional items for FY17 and FY18 subject to Board approval as per the norm). HRnet trades at 17.8x consensus FY17 P/E. Based on three estimates, the Street expects a c8% and c21% EPS growth in FY18 and FY19 respectively. The Street also expects a 27% decline in EPS growth in FY17 – this is principally due to the expanded share-count base post-IPO in Jun 2017 (i.e. the consensus net profit outlook for FY17 is flat YoY). Excluding its balance sheet net cash as at 1H17, the stock would be trading at 11.2x FY17 P/E. HRnet does not have any listed comparisons in the Singapore market. As we understand from company websites of regional and global peers, business models of recruitment agencies differ widely – some focus purely on high level executive placement, some do broad-based placements, some purely flexible staffing (for which they may even keep headcount inventory) and some focus on specific industries. Nonetheless we see from a basket of closest peers (in our view) that HRnet trades at a 6-17% P/E premium for FY18 and FY19 - we believe possibly from the M&A growth optionality from its cashed-up balance sheet that it offers. Independent research firm Frost & Sullivan estimates APAC industry growth at 9.4% CAGR in 2016-2021. Consensus EPS growth expectation for HRnet at 8% and 21% for FY18 and FY19. M&A-driven growth optionality with SGD279m balance net sheet – management are looking at opportunities in high growth cities in APAC. Organic growth since inception funded by internal cash without debt financing; profitable for 23 of its 24 years in existence. Target dividend pay-out of 50% of core net profit. ROIC of c14% at 1H17; pre-IPO cash ROICs in FY14-FY16 in excess of 25%. M&A execution: HRnet has grown through organic expansion since inception. Going forward M&A to expand operations in other high growth cities in APAC is one of the legs of its future growth strategy. This entails execution risks in successfully tackling a different set of challenges such as operational control, integration, cultural fit etc. Currency: HRnet’s reporting currency is in SGD but operational currencies also include HKD, JPY, MYR, CNY, KRW, THB and TWD amongst others. Hence it is exposed to translation risk in adverse movements of these currencies against the SGD as well as currency exposure in geographies outside Singapore to the extent that revenue and cost streams are not naturally matched in the same currency. Market competition: The recruitment industry is competitive, not capital intensive and has relatively low entry barriers and switching cost for customers is also relatively low. Regulatory: Labour markets in the region are subject to a high level of government regulation and licencing. Breaches in such local laws in the respective operating countries could result in fines or even closure of operations in the worst case scenario. Loss of grants: HRnet’s Singapore operations have benefitted from various grants and subsidies under schemes of the Singapore government that are now being reduced. The level of such grants in the future is unknown and will evolve with government policy direction. As at the moment, management indicate that the level of grants is likely to almost halve YoY to cSGD6m levels in FY17 and fall further to cSGD5m in FY18.